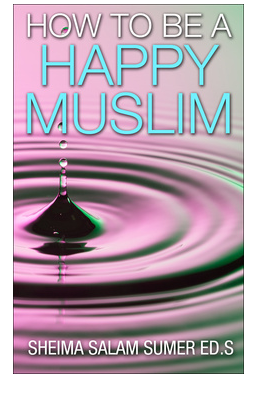 Alhamdulillah, in 2012 I published my first book, “The Basic Values of Islam,” in which I compiled Quranic verses and hadiths that correspond with basic values such as honesty, kindness, etc. In this post I would like to comment on the value of Kindness. As Muslims, we really should be striving to infuse kindness into as many of our social interactions as possible. “Serve Allah and associate none with Him. Show kindness to parents, relatives, orphans, the needy, the neighboring kinsman and the neighbors who are not of your kind, the companion, the traveler in need, and to the slaves you own…”(Quran 4:36). “Kindness is a mark of faith, and whoever is not kind has no faith.” (Hadith recorded in Muslim). Even if you are having a problem with another person, try to still be kind. Try to talk to all people with kindness, and you will increase the happiness in your life. A good post. If kindness represent our faith then our attitude towards our fellow-human-beings and other creatures must be in consonant with this ideal. And if this is achieved we won’t find it difficult to establish a universal brotherhood or a harmonious global society. Let the Muslims around the globe realize this salient aspect of our faith and exhibit in our daily life. Surely this can bring peace and shun bloodshed, if Allah Willing. Thank you for your wise comment. I totally agree. This is an amazing post. It is very helpful for the Muslim community. We are also teaching Quran online. QuranHost provides Online Quran Learning Service. Learning Quran at home is an excellent program that enables adults, Muslims and new Muslims to Read Quran. QuranHost have 24-7 classes. We have students in the USA, Canada, UK, France, Australia, Spain, Belgium, Ireland and all over the world. We teach 24 hours a day. You can try three FREE trial lessons to evaluate our online Quran learning service. After that, you can decide to continue or discontinue Online Quran Reading with us. We have both male and female tutors.